I'll show you how to make a blog with an easy-to-follow video tutorial below that will provide a very, very detailed tutorial on how to use WordPress. I even show you how to setup a test website before you go live. To build your site, all you need is a domain name and web host. Once you setup your hosting account, you can install WordPress and begin creating your pages. Next, choose a template, add your text and you are ready to go! There is some confusion over websites vs. blogs. People are often not sure which one they should create. Let me break down the difference. Blogs are a kind of website. The content is usually organized by date and category with the most recent post/content displaying first. On the homepage of many blogs, you will likely see a series of posts going down the page with the newest on top. This is the default organization if you use WordPress. Blogs also have comments by default, but you can disable them quite easily if you use WordPress. I'll show you how to get started in the tutorial below. A static website is created with a more manual process and typically does not use WordPress. You can either use software or learn HTML/CSS. Publishing content requires you to either use the editing software or learn how to use an FTP program. This method is not as popular now that blogging is the choice for most website creators. I should note that you can create a "static" site with WordPress by simply changing how your content is arranged. You don't have to sort everything by date. That is just the default for WordPress. There are two kinds of WordPress sites. You can go to WordPress.com but the problem is you cannot add ads or monetize your site. It's against their terms and conditions. 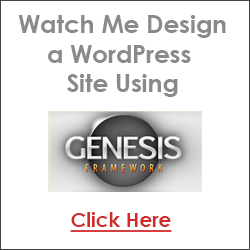 You want to create a self-hosted WordPress site. As I've already mentioned, you first need to register your own domain name (yoursite.com) and sign up with a web host. 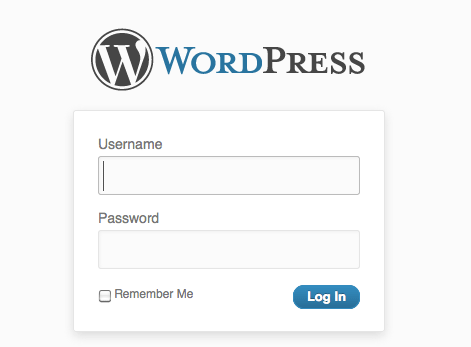 Next, you simply install the WordPress script on your domain from the control panel and you're ready to go! This is typically a very simple and quick process with most web hosts. Are you thinking about using a site like Blogger? Even though Blogger is free and makes setup a snap, you don't actually own the content or the site because it's hosted on Blogger's domain. I never, ever recommend free hosted sites. I think they look cheap, lack professionalism and often times people don't take your site seriously. Also, your site could be removed for any reason at any time because you don't technically own anything. You're renting the space like you would be renting an apartment. Is this what you want for your future site or perhaps a business? Also, it's easy for free sites to be taken away from you. If someone wants to sabotage you, they can report your site and get it taken down with little problem. It has happened to many people before. As I've already noted, I don't endorse free hosting so that's why I would choose WordPress in an instant. Blogger is often a popular choice among newbies because it's free. However, WordPress is so much more robust and has thousands of free plugins to make it more functional. It's always best to use a paid hosting account. WordPress is not hard to master with some guidance, so make sure you check out my tutorial video below and you'll see just how easy it is to create your blog! I used Blogger for about a year when I first started blogging, but I felt as if I outgrew it. I noticed that WordPress had many more templates, and when I learned about the plugins that were available that would allow me to do so many different things with my website, it was a no-brainer. WordPress is open source. That means developers have access to the source code so they can modify it. This makes the possibilities endless for what you can do with a WordPress website. If you were a Blogger user, it may take you some time to get used to the WordPress format, but trust me. It's definitely worth it. If you use a company like WebsitePalace.com to buy your domain and host your site then you can setup a self-hosted WordPress blog for free in seconds with their WordPress hosting plan. You simply login to your hosting account and follow the instructions for launching your WordPress blog. It literally takes minutes. * Choose the Deluxe Plan to host unlimited domains/sites under one account. After your account is setup, go to yourdomain.com/wp-admin and you will be presented with the login screen to start creating your site. Once you login, simply go to Appearance >> Themes, choose, install and activate a theme and you're ready to launch your site! Be sure to check out my WordPress tutorial video below for some basic instructions on how to get started. If you use WebsitePalace.com to make and host your WordPress site, you will get my WordPress Starter Guide eBook - the complete guide to learning how to use WordPress and make money from your site. You'll find the free download on the confirmation page after you order. Did you like the video? You may want to check out my WP Starter Guide. There are tons of tips included on how to make money and drive traffic to your WordPress site. Remember, all Website Palace customers get this ebook for free. 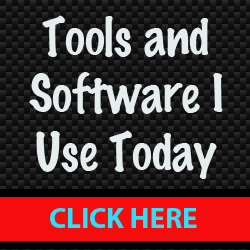 If you want to test your site locally on your Windows computer, download a free software program called InstantWP. This is one of the best inventions for WordPress because you don't have to do everything live and pray it looks right. You can screw up all you want and no one will know but you! :-) Also, this program installs right inside any folder or flash drive. So you can easily take your local copy of WordPress with you and work on any computer. As you may know by now from the WordPress video tutorial, there are thousands of free WordPress themes at your disposal from the admin panel. However, I would strongly recommend using a premium theme because of the support offered. About every few months, WordPress updates its software. That means your current theme may not be completely compatible anymore. So if you're using a free theme, often times the developer won't support it anymore and you're stuck with a broken site. However, if you use a premium theme like I use on my blog (Genesis), then you know that you will have the support when there are any updates or problems. Just something to think about as you create your site. Do you notice a theme here? I'm not a fan of free. I think it always comes with a price in the end. I've had too many bad experiences when it comes to free websites in the past. Having your visitors view/sort your content by date and category may not be the optimal solution for every kind of site because the older content will get buried over time. Have you ever visited a blog and had trouble finding what you're looking for because of the content organization? That is because some people only use the default navigation for WordPress. You don't have to organize everything by category and date if you don't want to. In fact, that doesn't make sense for some kinds of sites. Blogs are awesome for highlighting new content, but if you don't take the time to organize your content effectively, your important information can get buried. If you plan on creating the kind of website where you're just highlighting newsworthy information on a very specific niche, then a traditional blog format is ideal. This site features the latest and greatest info about technology. So it makes sense to just sort the content by category and date because people coming there just want the most recent information. If you plan on writing a lot of newsworthy content on a certain topic then a standard blog is perfect for this. However, if you are creating a tutorial site where a static layout is more appropriate (like this one) then you may want to either consider a static site or make your WordPress site more static by using WordPress menus, Pages, etc. WordPress allows you to create posts and pages. Posts (dynamic) automatically show up on the homepage with the newest on top and oldest at the bottom. As you upload more content, the older content eventually gets pushed off the page. The key is to use the WordPress menu function to link to static pages instead of categories with dated content organized from the newest to oldest. For most websites, the hybrid approach is what you should aim for. In other words, you'll want to use both static and dynamic content. Here's what I mean. On my hair site, you'll see that the top menu links to some pages that are always the same (static). The Sitemap link is a static page. However, if you click the "Hairstyles" link, you'll see that it links to dynamic content -- in other words, my most recent posts on transitioning and natural hairstyles. So I'm using both static and dynamic content. That's the beauty of WordPress, it lets you do both! And for most websites, this is the ideal approach. I discuss how to do this in the video near the bottom of the page and in my WordPress tutorial. I am often asked about the design on my WordPress blog. I bought a premium theme called Genesis. Keep in mind, you don't have to buy a theme, as WordPress comes with thousands of free ones you can install. Plus, Genesis comes with a free, getting started guide. So if you're new to creating a blog and/or the Genesis theme family, this will come in handy as you get started. Did you know you can build your own theme without knowing any PHP or CSS at all? Thanks to cool programs like Artisteer, you can actually build a theme using their wizard. Learn more about creating a theme with Artisteer here. Even though Artisteer is neat, I prefer Genesis. I think their themes are much better and more professional looking. If you've decided to create a WordPress site, you can get very low cost hosting at Website Palace. Just sign up and begin your site today! Choose the Deluxe Plan and host unlimited domains/websites under one account! If you've decided to go with a static website instead, you can just choose a regular web hosting platform and use the free templates that I provide on the order confirmation page. Or you can download free templates from the web, use Artisteer, Dreamweaver, etc. Don't forget to register your own domain name!